O God, hear the voices of the people from a parish named in the honor of St. Brendan. We come together as a parish family to honor You and continue the work of Your missionary priest. Help us to draw on all who worship here and others in our community into a closer relationship with You. Let all in our parish be aware of and appreciate the many gifts You have given us through the years. Strengthen us as we venture forth on the sea of life, so we may be fearless in facing the storms of adversity. 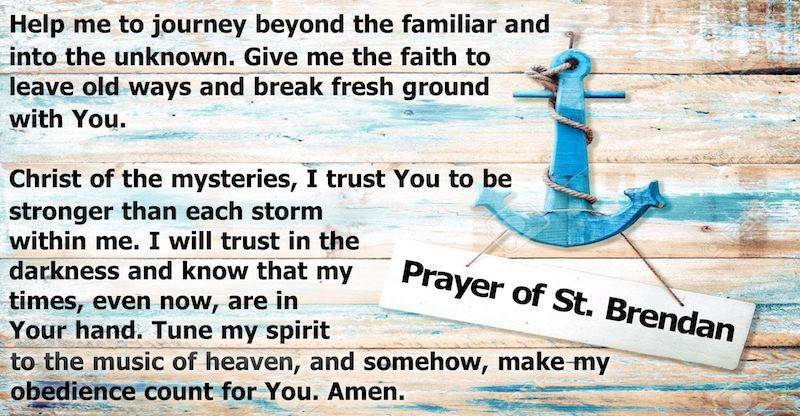 Dear St. Brendan, our parish patron, we ask you to intercede on our behalf for the continued blessing from our God on our priests, staff, teachers, volunteers, and all who call St. Brendan Church their home. Amen.